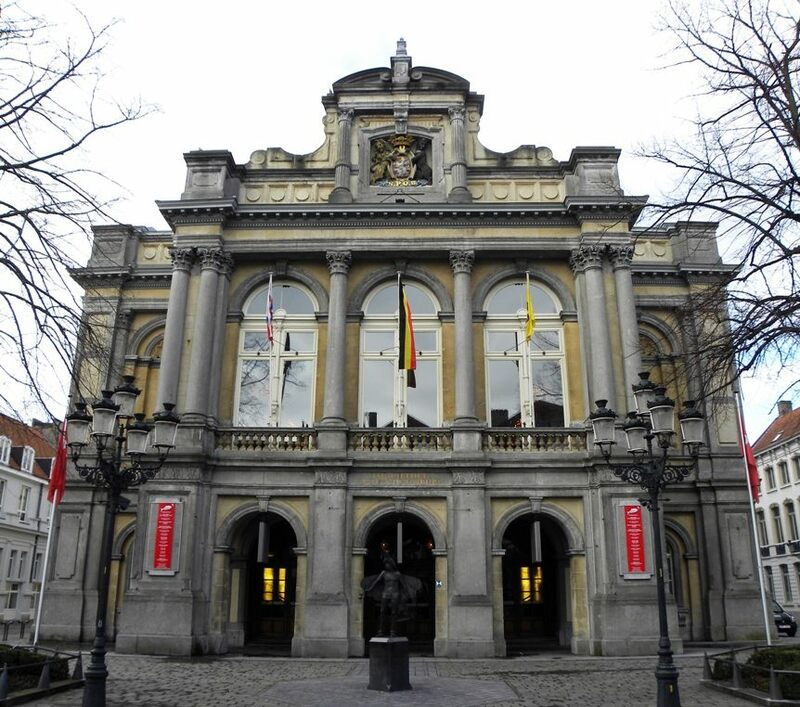 The Bruges City Theatre (Stadstheater,1869) is one of the best preserved theaters in Europe and was fully restored in 2001. Behind the austere, neo-Renaissance façade conceals a majestic auditorium and a palatial lobby in an eclectic style. 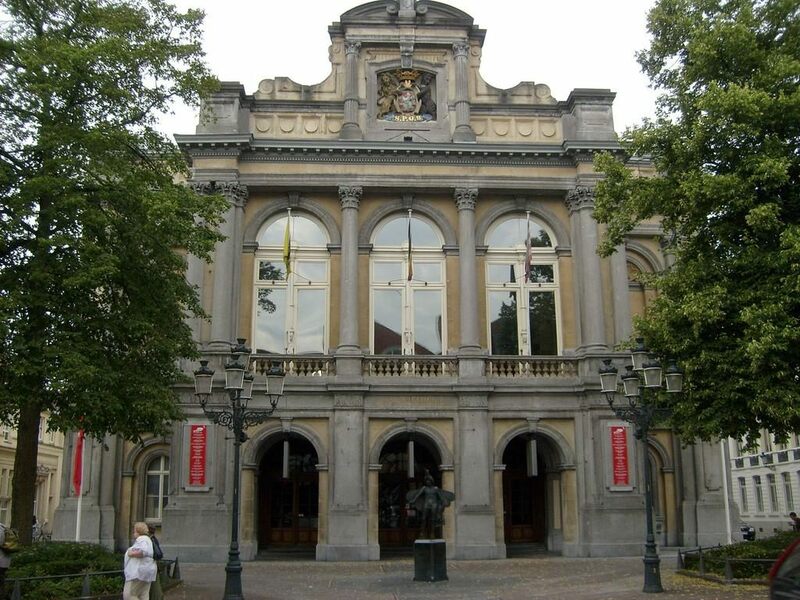 The City Theatre Stadsschouwburg in Brugge is a teather from 1869. It is used for dance performances, concerts, operas, comedies and all kind of open stage performances. It is a fascinating building with giant decorated columns. On the top floor you see a lion wearing a golden crown. 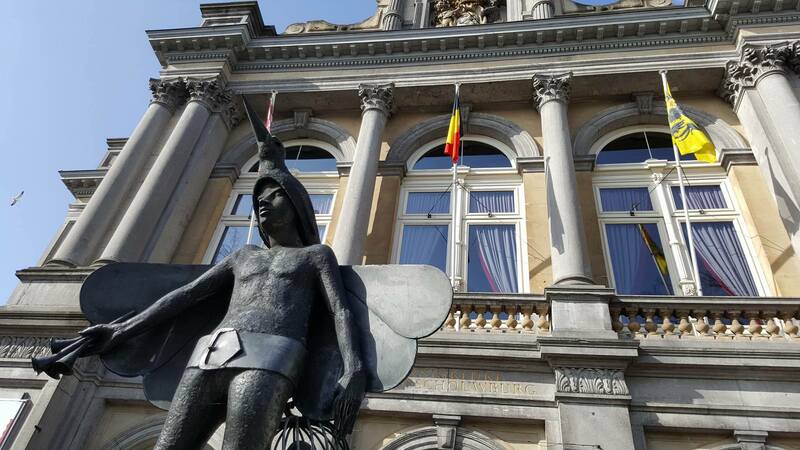 According to us this represents the Lion of Flanders, the fury on the battlefield of the Golden Spurs. A victory of Flanders against the French, which took place on 11 July 1302. This is why July 11, is still the yearly Anniversary of Flanders. Next to the shield you see a bear, the symbol of Bruges. The statue in front of the Stadsschouwburg was also interesting it represents "Papageno", the bird catcher of the Opera of The Magic Flute composed by Wolfgang Amadeus Mozart. It is amazing how much information just a few statues and decorations hold. Bruges offers a wide range of music festivals, concert halls and theatres. 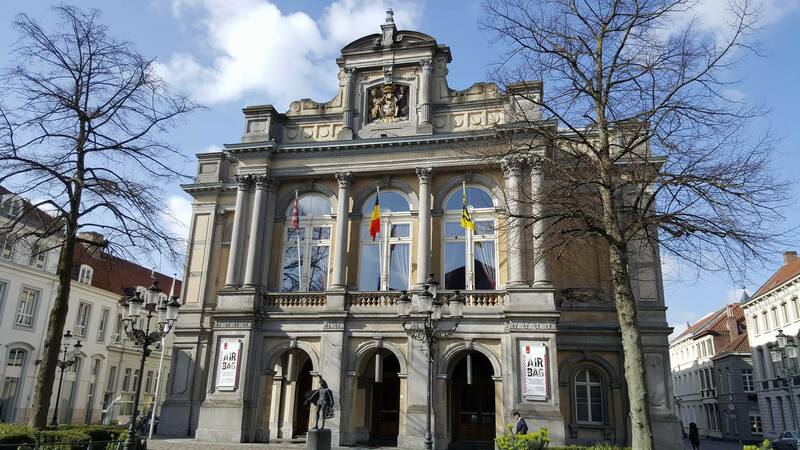 Contemporary dance, theatre and small concerts organised by the Bruges Culture Centre are held at Stadsschouwburg or Royal City Theatre at Vlamingstraat 29. Dated from 1869 and recently restored to its former glory. Its one of the best preserved theatres of Europe in Eclectic style and has a majestic auditorium. It seats 650 people and has a wonderful foyer. The majority of popular concerts and music events organised by the Cactus Music Centre, are held at the Magdalenazaal at Magdalenastraat just outside the old City. Jazz minded guests will enjoy the program of De Werf at Werfstraat just outside the old City. The yearly MAfestival of early music is held in several churches around the city and the Ryelandtzaal at Ezelstraat where musicians perform for a jury during the competition. The final concert is held at theConcertgebouw. During summer open air concerts are given on Markt and Burg during several music festivals. At Minnewaterpark we welcome the Cactus festival in July and at Zeebrugge Beach the Polé Polé Beach festival in August.